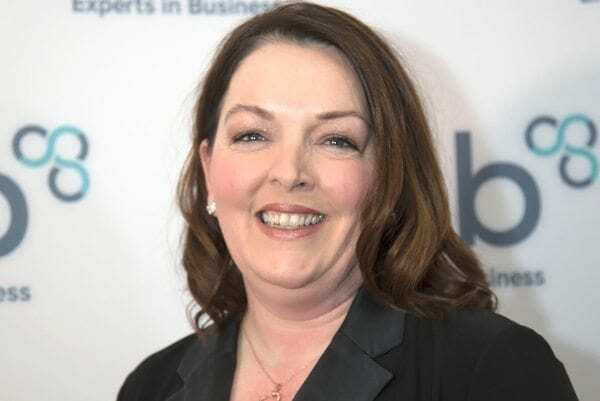 The Federation of Small Businesses has made sweeping changes to its guiding body, the FSB NI Policy Unit, including the appointment of one of Northern Ireland’s most successful business owners, Tina McKenzie, as Chair alongside a raft of new, high-powered appointments. Eleanor McEvoy, CEO of Budget Energy and a ‘Dragon’ in RTE’s Dragons’ Den; Patricia O’Hagan, CEO of Core Systems Ltd; Mervyn McCall, CEO of Sliderobes and prolific angel investor; Conor Devine, founder of the GDP Partnership – a real estate and debt advisory business; Alan Lowry, MD of Environmental Street Furniture; Tommy Maguire, Commercial Director of Core Systems; George King, Owner of Merdyn Daycare Nursery and Chair of the NI Day Care Owners association; Harvey Moffat, founder of several businesses including interiors’ company Co-Design, and well-known businessman, Brendan Kearney. Speaking about the changes, FSB’s Head of External Affairs, Roger Pollen, said: “These appointments give us the strength and depth we need to meet the expectations of our members when it comes to effective engagement with government at all levels. “The Policy Unit was founded nearly two decades ago and has had the same Chairman, Wilfred Mitchell, throughout. During that time, FSB has had major lobbying successes, including introduction of new policies – such as the Small Business Rates Relief scheme, which has seen tens of millions of pounds returned to many thousands of our smaller businesses – as well as the effective resistance of policies that would have had a damaging impact. “Aside from external campaigning, one of the most significant achievements was the internal lobbying to persuade FSB to purchase prominent, Grade A office premises in Belfast city centre, and invest to create a fully staffed and well-resourced Policy Unit. Roger Pollen continued: “The former Chair, Wilfred Mitchell, played a key role in this work, especially in securing the resources to establish the Policy Unit itself. Commenting on her appointment as the new FSB Policy Chair, Tina McKenzie said: “FSB has always excelled at ‘reactive’ policy work – responding to consultations and the proposals of government and the parties – however, there is an opportunity to do much more proactive policy and advocacy – developing policies to improve the environment to help local businesses to thrive. “This will be especially important as the Brexit negotiations move to their next phase, and I am keen for FSB to be at the heart of this debate; proposing effective solutions to help business to capitalise on the changes that are coming. Ms McKenzie continued: “I am particularly pleased to take up this role with FSB, as they have enriched the Policy Unit with the appointment of so many eminent business owners.